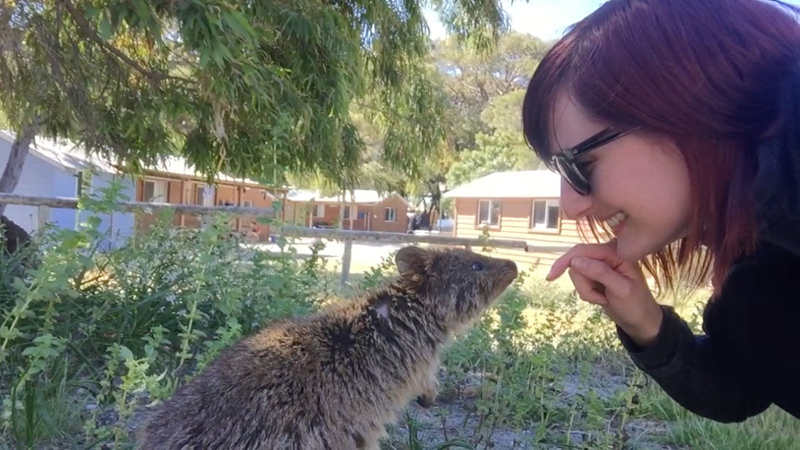 Last week I was treated to an amazing adventure on Rottnest Island – a beautiful island off the coast of Western Australia and home to the adorable little quokka! 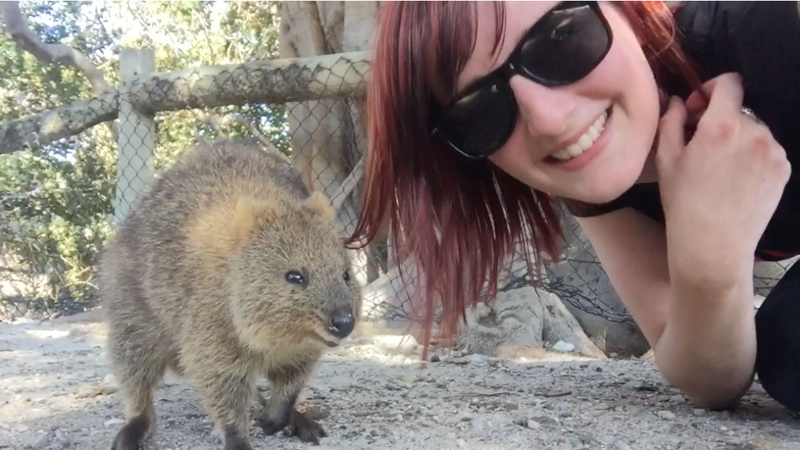 People come from all over the world to get a #quokkaselfie and me being the dork I am, was certainly not going to miss out on that. I had the opportunity to fly to Perth for work – my first time visiting the west coast of Australia – and decided to extend my trip to check out what’s on the other side of our massive country. WA really turned the weather on for us, with beautiful spring temperatures and clear blue skies; the perfect weather to chill out on an island. After a few days in Perth, it was time to jump on the 30 minute ferry from Fremantle to Rottnest Island and kick back and relax for a couple of days. 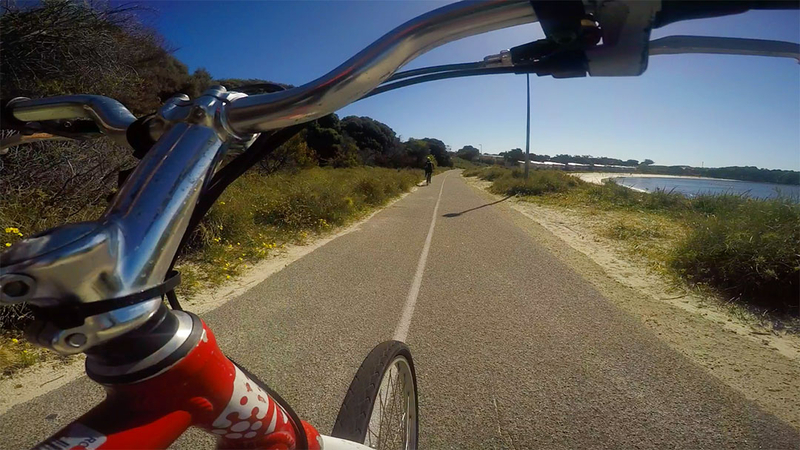 Hiring a bicycle is the easiest way to get around Rottnest Island as you can’t take cars across, plus there’s plenty of bike racks dotted around the island so you can park and go exploring on foot whenever you want. We didn’t have to ride far before we spotted our first quokka – the sneaky little fluff ball came right up to our feet while we were having lunch! Although quokkas are predominantly nocturnal, there are still plenty who go around feeding on leaves and grass during the day, so you’re bound to see some on your visit. We were lucky enough to visit in Spring, so there were lots of baby quokkas out and about with their mums, occasionally popping their heads back into her pouch to suckle – eeeeep, so adorable! 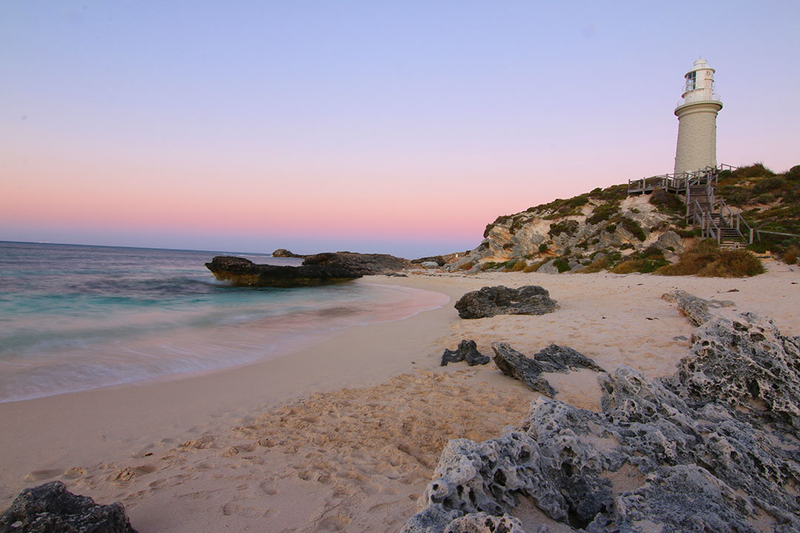 After the last ferry had departed back for the mainland, and the sun was beginning to set, I jumped back on my bicycle to head to one of Rottnest’s 80+ beaches/bays to watch the sun set over the Indian Ocean – something I definitely can’t do back in Queensland! That’s when all the quokkas really started to come out of their hidey-holes to play. 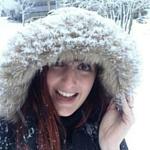 They were just everywhere and I didn’t know what to do with myself – total cuteness overload! 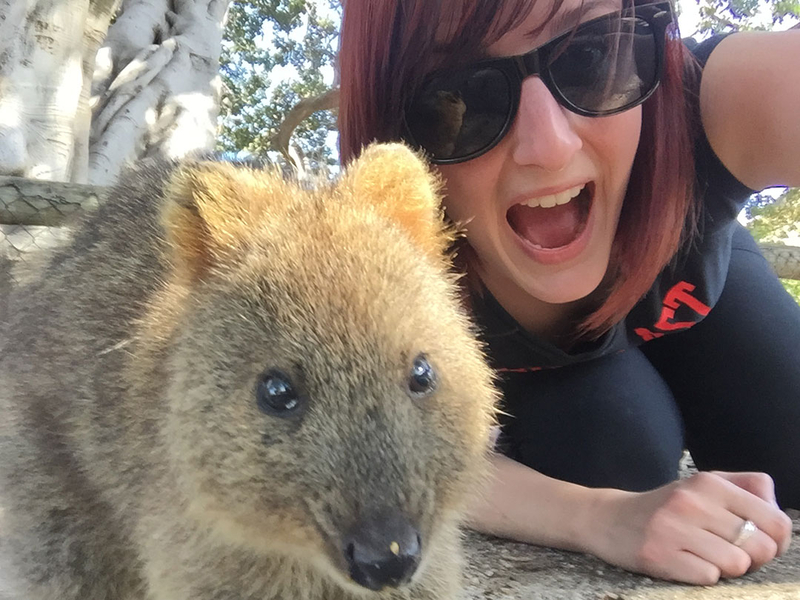 Although there’s heaps to do on Rottnest Island, like whale watching, snorkelling, diving, swimming, train tours, joy flights and over 50km of bike tracks, the highlight is definitely getting a selfie with one of the adorably cute quokkas. If you have the time, it is 100% worth staying a night or two, rather than just a day trip, as there’s so much this beautiful island has to offer. It’s perfect for families, couples or solo travellers and caters to all sorts of accommodation needs, from camping up to fancy hotels. So what are you waiting for? 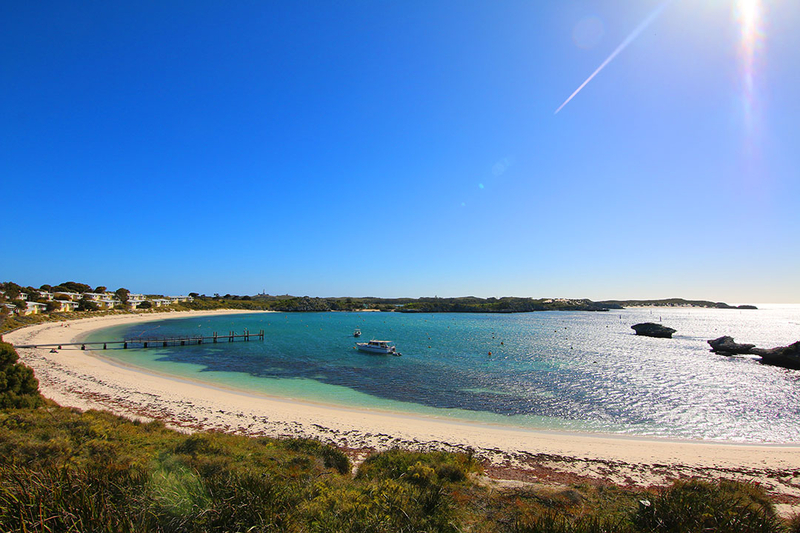 Grab a snorkel and a bicycle and dust of that selfie stick because Rottnest Island is waiting to be explored! Aww Rotto! 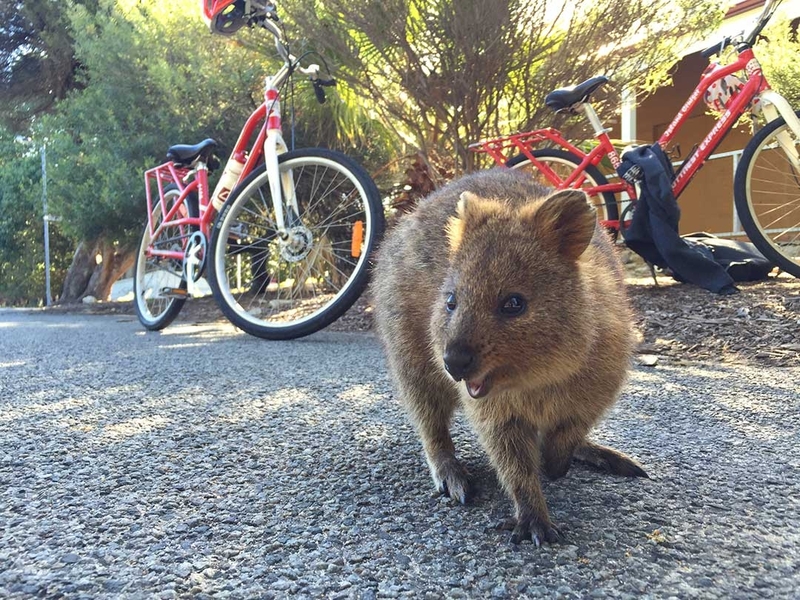 We’ve been there a few times, once during a school camp, and just amazing memories of hot clear days, cycling low hills around beautiful blue rocky bays, and of course all those adorbs quokkas! I still remember how coarse their fur is… never saw a baby though, we always went in summer! Eeeeeeeee! 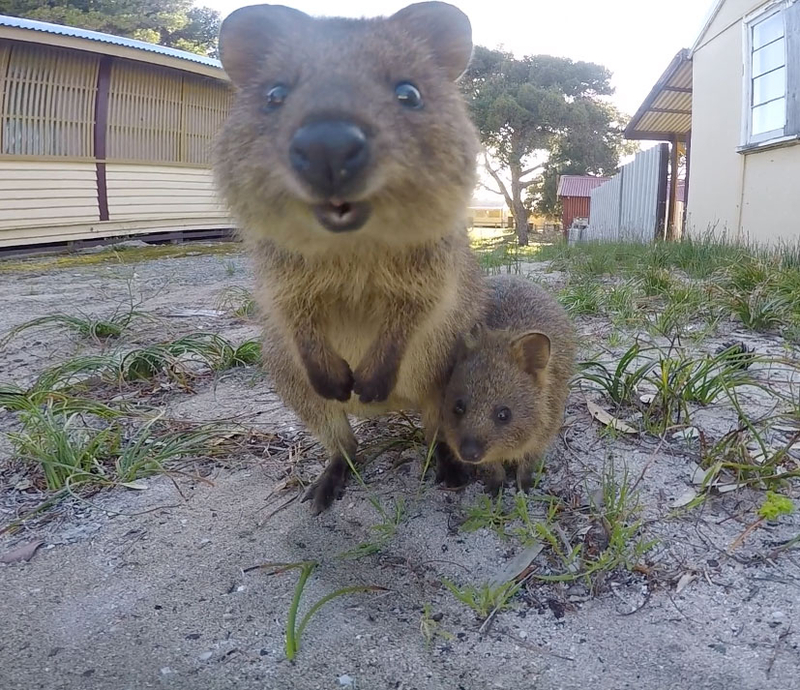 Quokkas are seriously the cutest, aren’t they?! My colleague and I were only planning to go to Rotto for the day, but my Mum’s best friend recommended I stay for at least one night… I tell ya what, I could have spent a WEEK there! It was so relaxing, and the weather was just perfect. 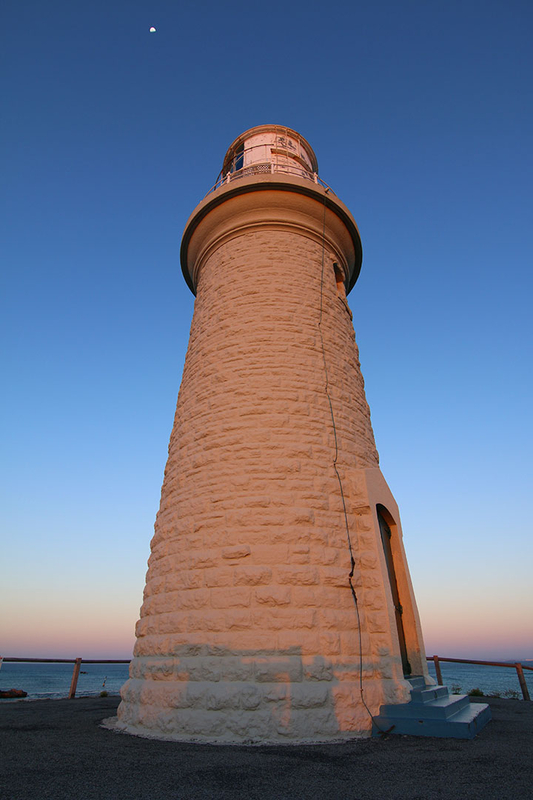 It was lovely and warm during the days and a bit fresh at night – but nothing a good blanket can’t fix 😉 I’ll definitely be heading back to Rotto in the future.